Held at the Dartmouth Arms, Dartmouth Road, Forest Hill on 23rd May 2006. The attendees included many long term residents of Forest Hill. Everyone introduced themselves and outlined why they thought a FH Society was needed; i.e. ‘Where does everyone go – so many commuters who seem to disappear in the evenings’? PRESENTATION FROM PAT TREMBATH , CHAIR OF THE SYDENHAM SOCIETY. Everyone welcomed Pat Trembath to the meeting. Pat outlined the origins of their Society and what they were working on at present, i.e. Bell Green Public Inquiry, Sydenham Town Centre regeneration, and Forest Hill regeneration. 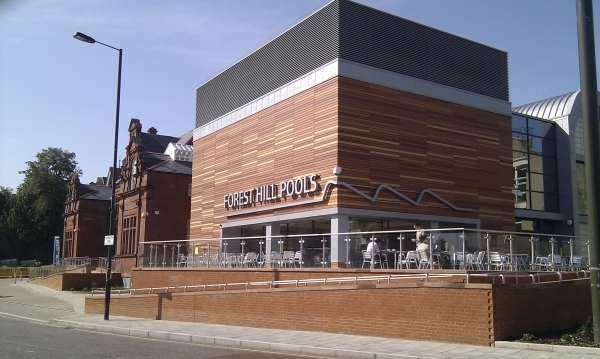 Syd Soc has over 1000 members, and represents the part of Forest Hill which is in SE26 plus the Pool and Library area, hence takes an active interest in the Forest Hill town centre. Pat made some suggestions as to what should be our main concerns i.e. Forest Hill Pools, Library, Louise House, also the station area. Len Duvall (London Assembly Member) very interested in Forest Hill regeneration and supportive. 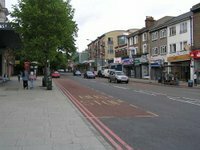 SE23 needed resident rep on Town Centre Management Group. We will need sub committees i.e. planning, roads and transport, (bus routes, trains, potholes) etc. Important to build good working relationships with other Societies in the area. Pat advised that the Syd Soc would work actively with FH Society on issues of mutual concern. There is a large conservation area in Forest Hill of which we need to be aware. Important to build up good relationships with officers and councillors. Likely that most local Councillors will want to be seen taking an interest in the Society’s activities. Need to promote diversity of membership, equality of opportunity and demonstrate encouragement of increased participation, in order to have credibility with the Council, i.e. to be seen as representative of the local population rather than just a minority pressure group. Importance of leafleting - aim to get as many contacts as possible. The purpose of the AGM is to conclude business as concisely as possible and then to socialise. Secret ballot for elections of officers perhaps not necessary. New magazine, ‘se23 living’ coming out, circulation area Forest Hill and Honor Oak. 4500 Mag drops, 40% editorial, community news and information – a great place to start. Dulwich Picture Gallery event on 31st May at 6.30pm for officers of local civic societies- Pat has received an invitation and has invited two officers of the FH Society to join her. 6th June- Transport Liaison Group of the council- all operators coming along to take written questions. AR attending. Pat advised of the benefits of having a wide constitution in order to avoid need for constant amendments. For elections, avoid immediate and surprise officer appointments by asking for nominations in advance. Syd Soc was unincorporated to avoid filing accounts and need for auditors. Had Civic Trust membership but first year free- £175. The meeting thanked Pat for her attendance and excellent advice. There was considerable discussion about the draft constitution which had been prepared and circulated by Michael Abrahams. Remove ‘need for secret ballot’. Remove ‘3 year criteria for people in office’. Add ‘officers to resign if standing for Council election’. AGM in March. - need to define year end. AGM can be any time. Constitution won’t exist until formal adoption. To add ‘sustainability considerations.’ as an objective of the Society. A revised draft to be produced and will be used as a working document until ratification or amendment at the AGM. Post meeting note; AGM to be on a weekday evening in September. A suitable venue to be located in Forest Hill. RM to arrange but suggestions appreciated. work on some of the priority identified at the meeting. Official representative of Tewkesbury Lodge. To consider separate group/sub committee on FH Pools. Await outcome of intrusive survey. Forest Hill Day- consider getting a stall. Exec to meet to plan this. Bank account - HSBC to be considered. RG to look into this. To be adopted at AGM- currently in draft form until formal adoption. Public meeting- first AGM - Sept 06. Discussion of membership fees- £5 pp- concessions - £2pp- some further consideration needed. £115.00 in voluntary contributions was collected at the meeting for petty cash. Distributors will be required for circulation of notices, etc to members. Preference is for communications to be ‘online’ as far as possible. Michael Richards of the Dartmouth Arms for hosting this first meeting. Pat Trembath of the Sydenham Society for her support of the new Society and excellent advice on setting it up. Next meeting of Exec Friday 3rd June at LR home. All to communicate by email in the interim. It proved not possible to get a stall at Forest Hill Day due to restrictive criteria on new stalls imposed by FHTA and the Horniman. Further Steering Group meetings will be held in the summer to progress the Society in advance of the AGM.